Ciao Pittsburgh continues its series on profiling successful Italian-American entrepreneurs across the country. This week, we are featuring Cedar Grove, NJ, resident, Rosanna Imbriano, a marketing consultant who has had her own business, R.I. Consulting, LLC., since 2001. Rosanna is married with two children. She was born in Italy in the Campania region and immigrated to the United States to Brooklyn in 1962 with her family like many Italians around that time. Since May of this year, Rosanna founded and launched a resource center for the Italian community called Sempre Avanti. You can check out the website at www.sempreavanti.org where you will find partners that represent 5 U.S. states and four regions of Italy. Rosanna took some time out of her hectic schedule to chat with us to tell us a little more about what she does for a living, her Italian heritage, some of her favorite hobbies and her favorite Italian traditions. Rosanna: The most rewarding aspect is that I get to help companies, individuals and organizations make higher profits and become efficient, without wasting time and money. I love to see people do well and prosper. I have lectured for years on marketing concepts and developed my own lecture,“Marketing on a Shoestring Budget” which teaches business owners to do more with less. When I help a company grow, it not only helps them with their profits, but helps them hire more employees and helps them give back to their communities. This is especially gratifying when it is in the Italian community, hence Sempre Avanti. Rosanna: My Italian heritage is my passion! I cherish my upbringing as an Italian, I speak the language, I grew up in Brooklyn in a large Italian family with excellent cooks, Sunday dinners, family and friends and with the love of everything Italian. That is why I now have founded my own organization to keep these values and traditions alive for future generations, Sempre Avanti. Rosanna: Some of my favorite traditions are our annual Christmas eve dinner with seven fishes, attending Italian festivals and watching my parents and relatives dance our traditional folk dances at every occasion possible. Rosanna: Being Italian means having a great work ethic, loyalty to family and friends, wonderful food, great music, beautiful art and a sense of belonging to a special group of people! I am very proud of being Italian! Rosanna: When I have free time, which is rare, I enjoy cooking and socializing with friends and family. And maybe a glass of wine! Rosanna: I have learned to listen to experts and remain open minded at all times. You can consult others, listen to their opinion but ultimately make the decision that’s right for you, trust your gut instinct. Rosanna: My advice is that you don’t need to spend a lot of money to market your business. Marketing is about relationships, trust and doing the right thing! I have written a chapter on Strategic Marketing that was published in a book called Jersey Women Mean Business! Big Bold Business Advice from New Jersey Women Business Owners, www.WoodpeckerPress.com. 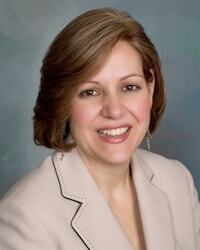 Rosanna: I won an award in 2009, NJBiz New Jersey’s Best 50 Women in Business. I have spent a lot of time in the Italian Community and now have dedicated my time to helping Italians with my new resource center. In addition, I was President of the New Jersey Association of Women Business Owners, Essex County Chapter from 2006-2008, in that time we were able to put the chapter on the road to becoming #1 in the state. Finally, I have two passions in life, being Italian and being a woman in business.